Join the Arts Council for a free reception for two exhibits: Paint It! Ellicott City 2019 and Personas. Paint It! 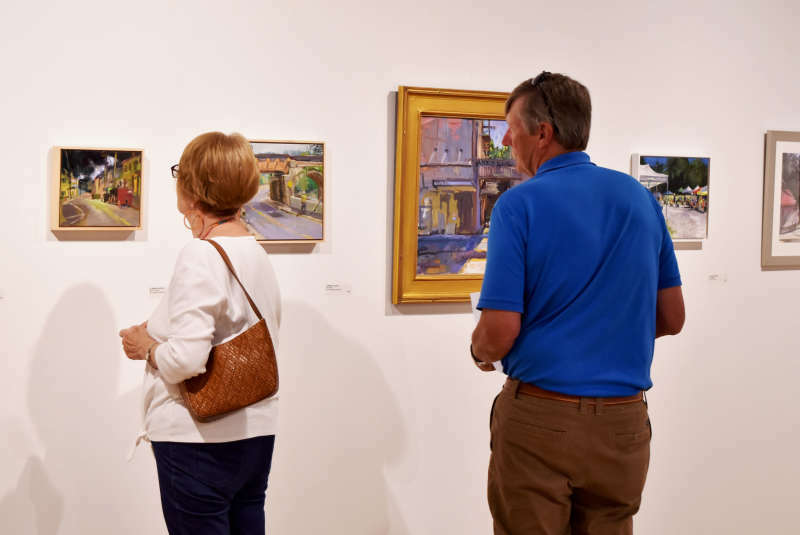 Ellicott City 2019 features artwork created by juried artists during Paint It!, an annual plein air paint-out in Historic Ellicott City, Maryland. The juror for Paint It! Ellicott City 2019 is award-winning artist Nancy Tankersley, who will offer remarks and present juror awards during the reception, which will also include a temporary exhibit of artwork created by community artists during the Open Paint-Out. Personas showcases the work of artists Oluwatobi Adewumi, Wynston Edun, Leah Taylor, and Charlotte Mann.